If you have been injured as a result of a dog bite or dog-related injury, it is important to note that in order to win a personal injury claim, the injured party must show that the owner knew or should have known that his or her animal was dangerous. However, the dog owner is not always responsible for injuries caused by the dog. Therefore, in order to determine whether the dog owner was liable, it’s important to be aware of the dog owner’s legal defenses. This article will discuss some dog owner’s legal defenses against liability for a dog-related injury. Such provocation releases the dog’s owner from liability for the injuries sustained. It is important to note that there are many ways a person, especially one who is unfamiliar with dogs, can unknowingly provoke a dog. 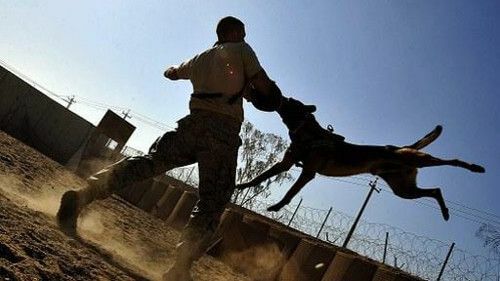 For example, petting a dog when it is eating, going into its special territory or intervening in a dog fight; each of these could provoke a hostile response for which, the dog owner would not be liable. Knowledge of associated risk of injury - it is possible for a dog owner to avoid liability by proving that the injured person knew there was a risk of injury from the dog, and that the injury victim voluntarily took the risk. This can be applied, for example, where a person ignores a prominent ‘Beware of Dog’ sign, enters a property and is injured by the dog. This person is likely not going to be able to blame the dog’s owner for any injuries. This is similar to people who make a living working with dogs, such as groomers, pet sitters, veterinarians or kennel operators as they are presumed to voluntarily take the risk of a dog bite. A dog owner is not liable to trespassers who are injured by a dog. In general, a trespasser is someone who was not invited on the property. However, unless a dog owner warns people off the property with signs or locked gates, the owner is considered to have given an ‘implied invitation’ to members of the public to approach his or her door for common errands such as trying to sell something or asking for directions. Was the injured person careless? If a victim was injured as a result of his or her own carelessness, he or she will be entitled to less money from the dog owner. Therefore, if the injured person is found to be 20% at fault for his or her own injuries then he or she will receive 20% less if the dog owner was partly responsible for the injury. This is the application of the comparative fault negligence rule. Alaska uses the ‘one bite rule’ with respect to injuries sustained from a dog. For more information on dog-related injuries, seek out anchorage lawyers for assistance.